Since I live in a county where dairy production is the major agricultural enterprise, I am tuned into the trends in these businesses. As a geezer, I have lived long enough to watch the number dairy farms decline at a precipitous rate. 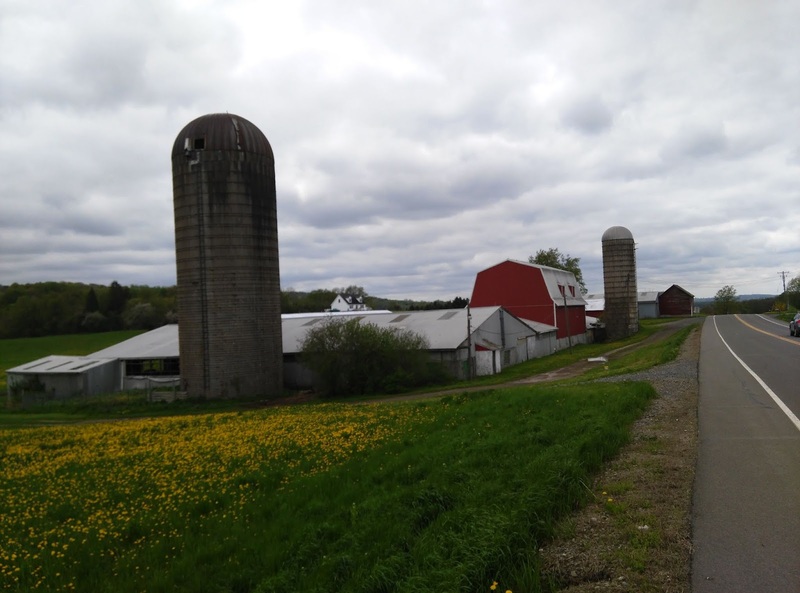 In New York State in year 2000 there were 7615 dairy farms. In 2016 the number was 4624 and continuing to decline. 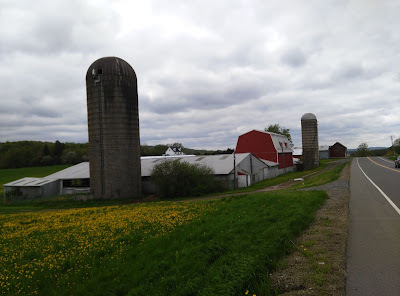 For Cortland County New York where I now live in 2006 there were 143 dairies and by 2016 the number is 96. How do these changes impact what I see when I drive the countryside? Today large dairies typically store huge quantities of forage in bunker silos. In the past, however, smaller dairies stored forage in tower silos. 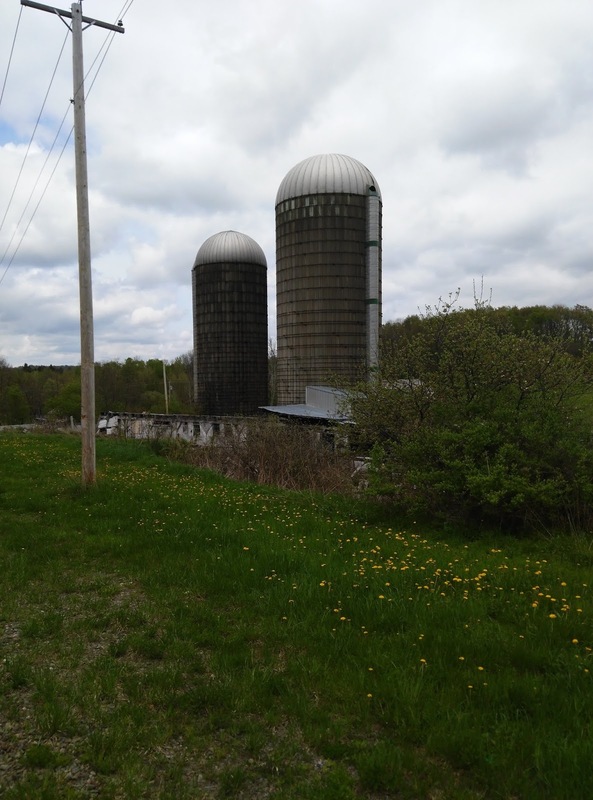 As these smaller dairies perish, the tower silos become monuments to the past. Razing the silos seems to be a rare event. Today I took a little tour within a few miles of our home, simply to photograph a few of these monuments. Within ten minutes I passed over a dozen silos of varying designs and sizes. All of them probably had not been filled in at least 10 or even 20 years. In many respects these silos remain as forlorn objects of the past. Having grown up on a farm I can imagine the angst of the farmers and their families as the next generation moves on from agriculture to other employment in society. A whole way of life disappears. Meanwhile, I find there is a certain beauty to these monuments. Perhaps we could consider them to be our Stone Henge equivalent for the 21st Century? For the geezer me, I find it entertaining to look for the different numbers and types of unused tower silos. 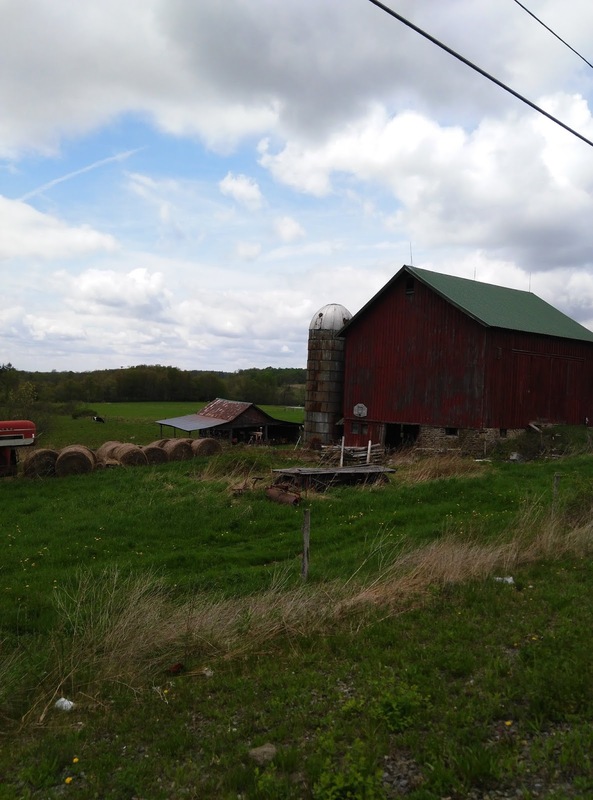 And also to muse about the families and businesses that once thrived on those farms. Here are a few examples of silo monuments. Note the different designs and sizes! Galvanized Steel Panels - Likely from the 1960s. This past Wednesday our geezer skier group gathered for an off season lunch at Greek Peak. Usually after the ski season we rarely see each other since we go our separate ways to summer activities. At the end of the season, I had the sense it would be good for us to get together occasionally to extend our socialization beyond the ski season. We just might have a lot to talk about beyond the usual commentary about ski conditions. Seven of us gathered at the Hope Lodge Acorn Restaurant of the Greek Peak Resort. My e-mail invitation sent out several weeks earlier rousted out at least a few of our group. (We are looking to gather each second Wednesday of the month for the off-season.) For an hour and a half we ate, drank and chatted with gusto. Each one of us had a chance to swap stories of our recent activities and reveal something of who we are beyond our love of skiing. We all have had an amazing array of experiences. This has to be true since our youngest is in his upper seventies and our senior member is beyond 90. There were an array of topics to be discussed. Several geezers are military veterans in roles from grunts to officers. For those of us who are not veterans it was interesting to hear of the impact of their service on their lives. For several the service was a stepping stone to rewarding civilian careers. Each person was encouraged to describe their career path. It was a delight to learn of their experiences and accomplishments. All in all, we were able to see multiple dimensions of our companions, well beyond our focus on skiing in our senior years. I am looking forward to how this saga will continue. Next lunch is June! From what my wife tells me her women's group she has lunch with, gets into personal issues. i.e. Sharing feelings etc. As typical guys, that may be a stretch for our gatherings. But who knows? Now that we are beyond skiing, anything might happen!